CHICAGO — Chilling video has surfaced of the 2010 choking death of a homeless shoplifter at the hands of a CVS store manager who chased him into an alley. And a U.S. congressman is now calling for a special investigation into the death of 35-year-old Anthony Kyser, who stole toothpaste from the drug store before his death nearly three years ago. The grainy surveillance video from the alley near the Little Village CVS was obtained from a source by DNAinfo.com Chicago. It shows Kyser's final minutes on May 8, 2010, and the beginning of the police investigation into the case. No charges were filed in Kyser's death, which police ruled an accident. CVS has said the manager acted in self-defense after being attacked by Kyser. The video appears to capture Kyser fleeing to the alley with the store manager close behind him. There's a brief struggle before Kyser hits the pavement, with the store manager on top of him. Another man appears to punch and kick Kyser, at one point stepping down on his hand while the store manager remains atop Kyser. More bystanders join in, helping to hold Kyser down. Eventually, Kyser stops flailing his legs, the video shows. A police officer arrives minutes later, followed by more cops and then an ambulance. But emergency responders are unable to revive Kyser. 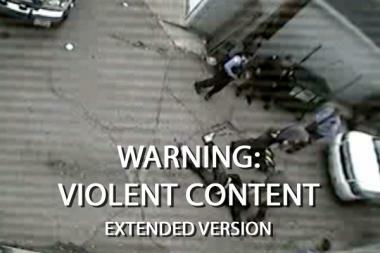 Sprawled on the pavement, Kyser's dead body remains in the frame when the recording stops. 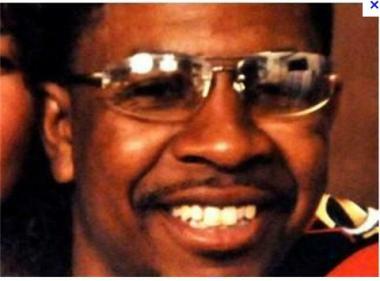 The Cook County Medical Examiner's Office ruled his death a homicide. But police decided it was an accident and no charges were filed. "The video was reviewed by detectives as part of their investigation at the time," Chicago Police Department spokeswoman Lt. Maureen Biggane said. "It was determined that criminal charges were not warranted." Kyser's mother, Ann Marie Kyser, filed a lawsuit claiming the store manager committed battery and that CVS is liable. That case is still pending in Cook County Circuit Court. The video has been discussed in sworn statements taken as part of the case. "The video shows that Anthony Kyser was being choked by the CVS store manager and that no one did anything to help," said Jack Kennedy, an attorney with Cochran, Cherry, Givens, Smith & Montgomery, the law firm representing Kyser's mother. "I think it’s appalling that CVS maintains that an employee can choke someone to death if they steal from a CVS store." A CVS spokesman would only tell DNAinfo.com that the company does not comment on pending litigation. An attorney representing CVS and the store manager did not return calls for comment. But in court filings in the civil case, CVS lawyers argue Kyser punched the store manager — identified in court papers at Pedro Villanova — in the face and the manager was acting in self-defense. Through his attorney, Villanova acknowledges he "held onto Anthony Kyser on the ground while defending himself after being struck," according to court records. In a deposition, Villanova said: "As soon as I got hit by Mr. Kyser, that's when it went from I'm here trying to recover the product and he can leave to all of a sudden he just punched me, so now I need to defend myself." Anthony Kyser, 35, died after being choked in an alley behind a Little Village CVS in 2010, says an attorney representing the man's mother. His crime was stealing toothpaste. In court filings, Villanova acknowledges his "arm came into contact with decedent Anthony Kyser's throat" and he heard Kyser say "I can't breathe." Soon after Kyser's death, an outraged U.S. Rep. Bobby Rush, a Chicago Democrat, sent a letter to Cook County State's Attorney Anita Alvarez demanding action for the "brutality visited upon a homeless man." Rush now says his "calls for justice" were not heeded. Now, after being shown the video by DNAinfo.com, he said he hopes its release will reopen the investigation. "This videotape ... presents an undeniable moment where [his] life was snatched from him," he said after viewing the footage. "Thank God for the videotape." Rush compared the way Chicago authorities handled the Kyser case to the case of David Koschman, who died in 2004 of a head injury he suffered when Richard J. "R.J." Vanecko knocked him to the ground with one punch during a Division Street encounter, authorities say. "You see in Koschman to Kyser a pattern of flagrant disregard for justice," he said. Vanecko, a nephew of former Mayor Richard M. Daley, was indicted by a grand jury on charges of involuntary manslaughter only after the case was assigned to a special prosecutor following a series of stories by the Sun-Times. Rush is calling on Cook County Chief Judge Timothy Evans to "open a special investigation" and appoint a special prosecutor. "The store manager who killed [Kyser] is walking around today free as a bird," he said. "Anthony Kyser is crying from his grave for justice."